This weekend Secretary Bryson will be in Chengdu, China for the 22nd Joint Commission on Commerce and Trade (JCCT), the annual bilateral trade negotiations between the U.S. and China. Before going to Chengdu, the Secretary stopped in Beijing to meet with American business community and Chinese investors. He participated in a meeting with the American Chamber of Commerce (AMCHAM) and the U.S.-China Business Council (USCBC), and met with members of the Chinese business community to discuss bilateral trade and investment issues. 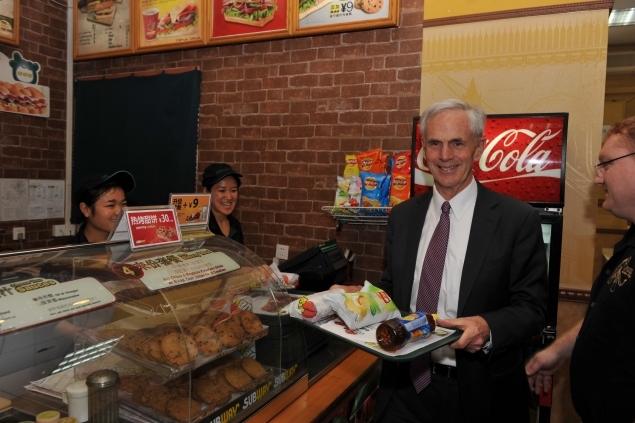 Even though he was surrounded by wonderful local cuisine, Bryson stopped off at a local U.S. franchise–Subway–to highlight the success of American brands in China, and joined U.S. Trade Representative Ron Kirk to tour Wisconsin-made airport vehicles at the Beijing Airport. During the meeting with the American business community, Bryson shared his commitment to opening markets and leveling the playing field for U.S. companies in China and he pledged to take their issues to the JCCT meeting in Chengdu. The discussion focused on intellectual property protection, bilateral investment and China’s indigenous innovation practices. 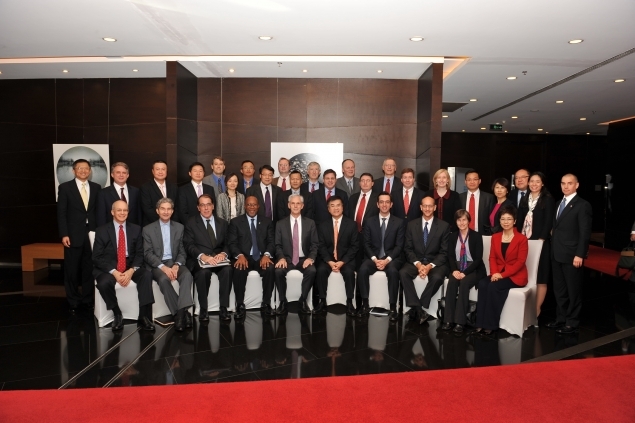 Bryson also met with Chinese business leaders to encourage them to invest–by establishing factories, facilities, operations and offices–in the United States and to help them better understand the opportunities and ease of investing in the U.S. China's foreign direct investment in America increased nearly twelve-fold (from $0.5 billion to $5.8 billion) between 2008 and 2010. The Obama administration recently announced Select USA–the first coordinated federal effort to aggressively pursue and win new business investment in the United States while cutting red tape and removing barriers. The Secretary saw firsthand the success of American brands and the benefits of U.S. exports to China while on his visit to Beijing. 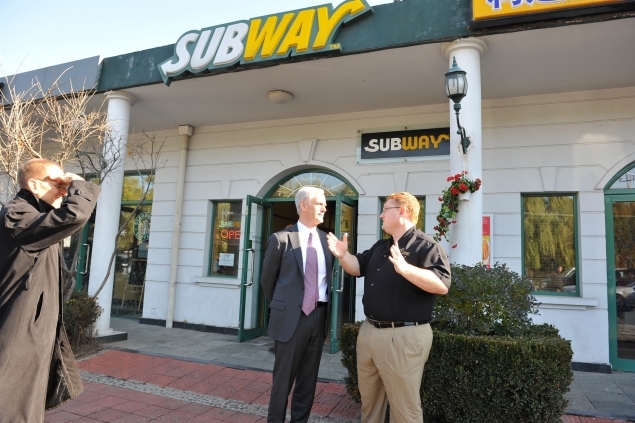 He first stopped at the American sandwich franchise, Subway, for lunch and met with local Subway employees. 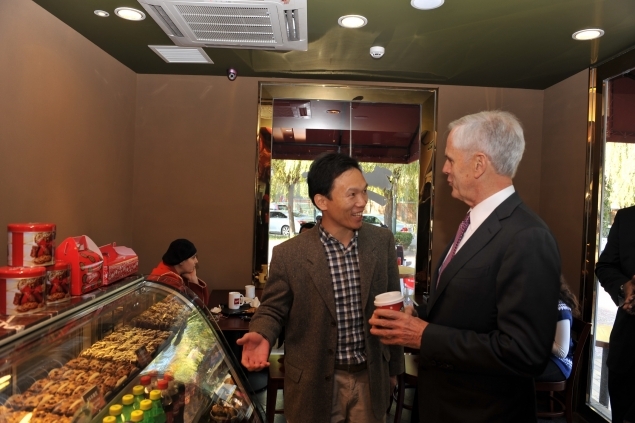 Subway has 243 stores in China which use made-in-USA goods, including bread ovens. The Subway stores throughout Asia bought nearly 0.5 million pounds of turkey in 2010. 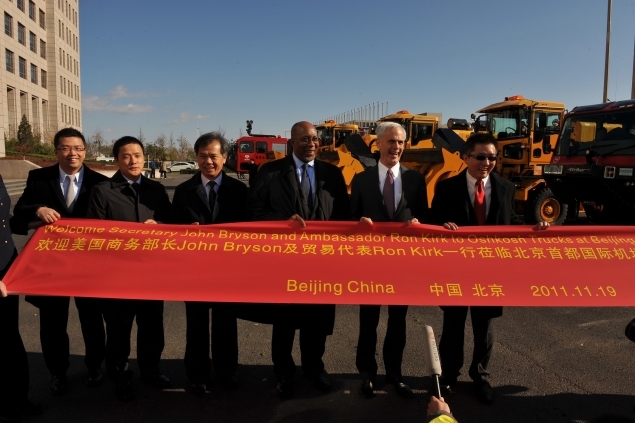 Prior to departing for Chengdu, Bryson and U.S. Trade Representative Ron Kirk stopped at the Beijing airport to see vehicles–fire and snow removal trucks–made by Wisconsin-based Oshkosh. Oshkosh has been a client of the Commerce Department’s Foreign Commercial Service in China since 2001, receiving export counseling and advocacy assistance. 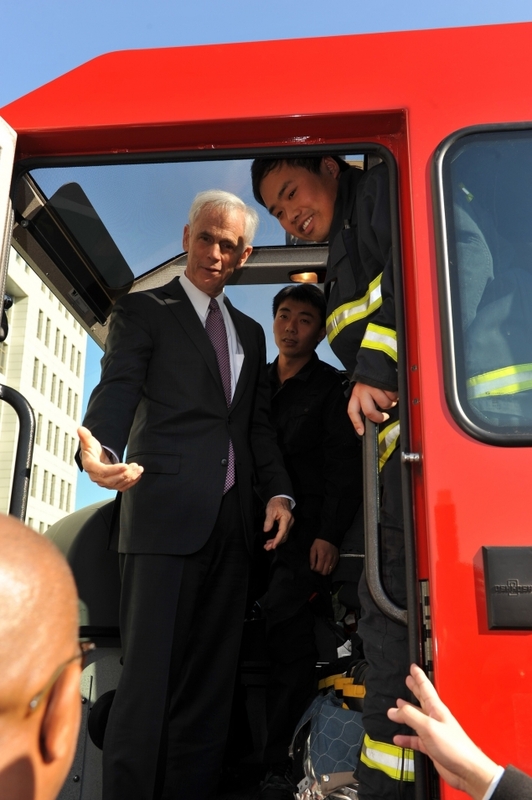 From 2007 to 2010, Oshkosh sold 33 snow trucks and six fire trucks to the Beijing airport supporting the winter and fire fighting rescue operations. The vehicles are 100 percent made in Wisconsin–supporting local jobs–with a total value of nearly $30 million. Oshkosh has sold more than 125 of these trucks throughout China totaling more than $85 million.